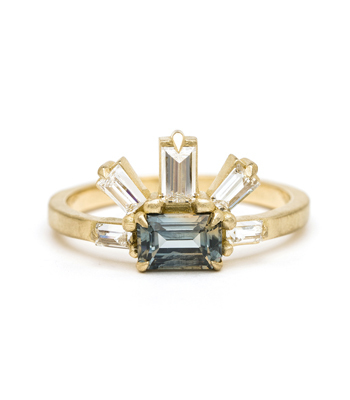 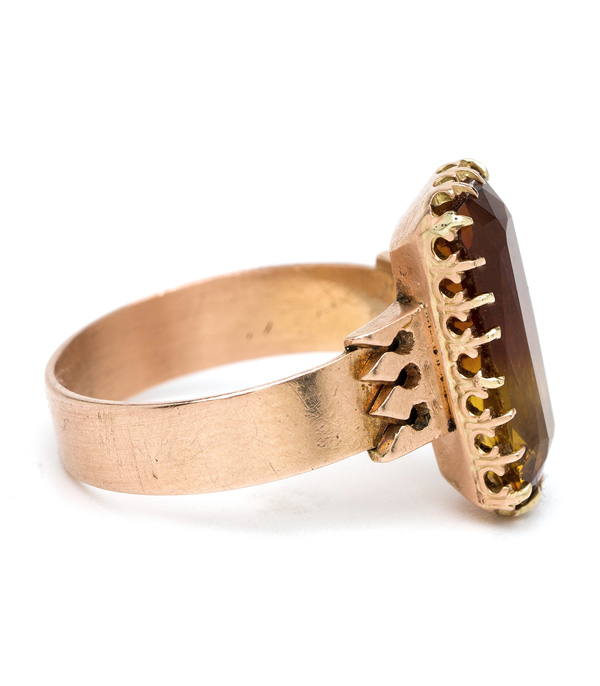 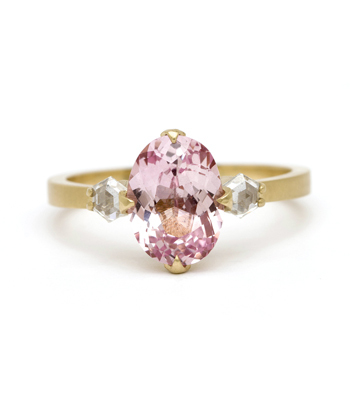 This radiant rose gold and brandy-hued citrine Victorian ring is equal parts regal and bohemian. 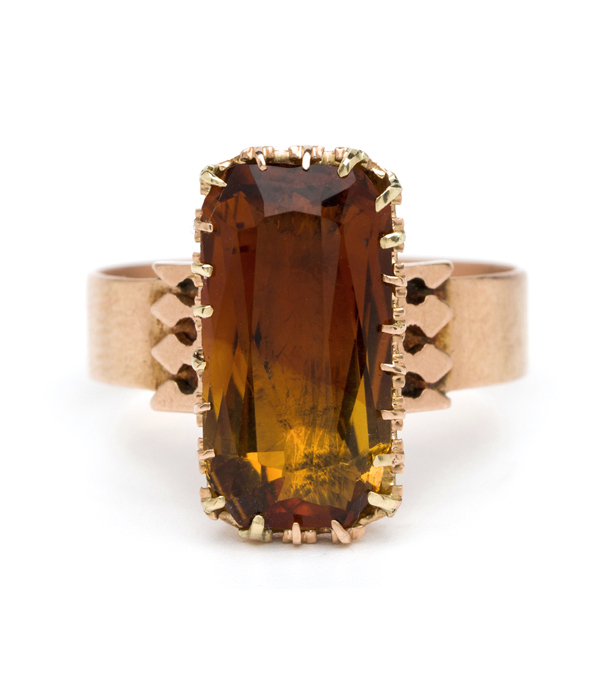 Like the falling leaves of November, for which citrine is the birthstone, this bold statement ring seems to capture a fiery, wild spirit. 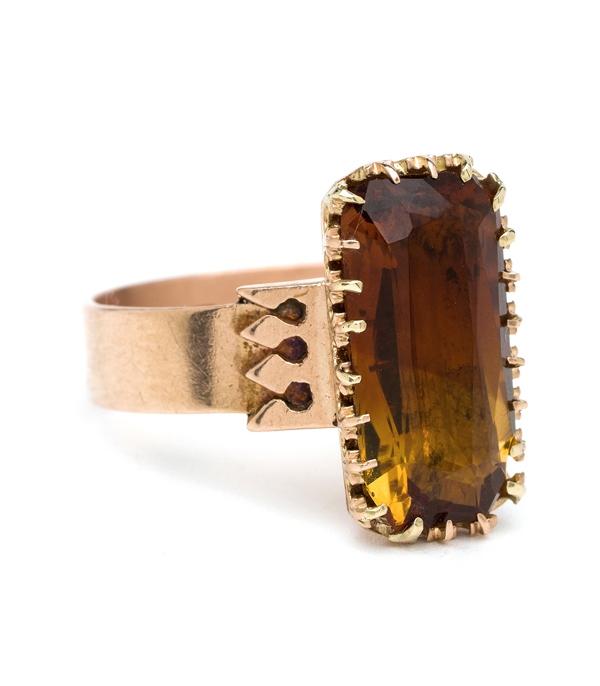 A simple gold band makes a clean backdrop to intricate geometric accents and an elongated, warm citrine center-stone, set with multiple fine prongs. 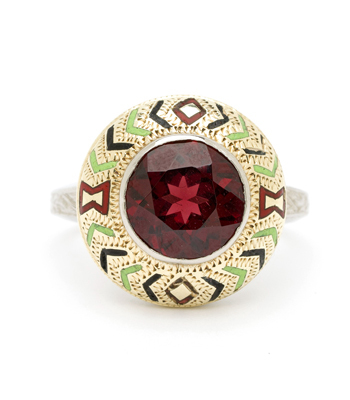 This lovely antique treasure features the intricate details we love in our vintage pieces, matched with a bold silhouette and sumptuous style.